Our doctors and staff offer patients a friendly and tranquil experience in a truly state of the art facility. Our goal is to treat every patient with the highest caliber of care and respect. We believe that quality counts and that details matter, so our doctors utilize the best technologies available. In-office digital imaging and convenient 3-D scanning for quick and easy x-rays without the wait. Complete sedation options for comfortable and anxiety-free treatment. Using innovative techniques, we provide the kind of care that we would want for ourselves and our families. We strive to help each patient reach optimal results and have something to smile about. Dr. Rahn and Dr. Curiel practice a full scope of oral and maxillofacial surgery ranging from routine wisdom tooth removal, Implant placement, bone grafting, diagnosis and treatment of TMJ disorders, pathology, and facial trauma. 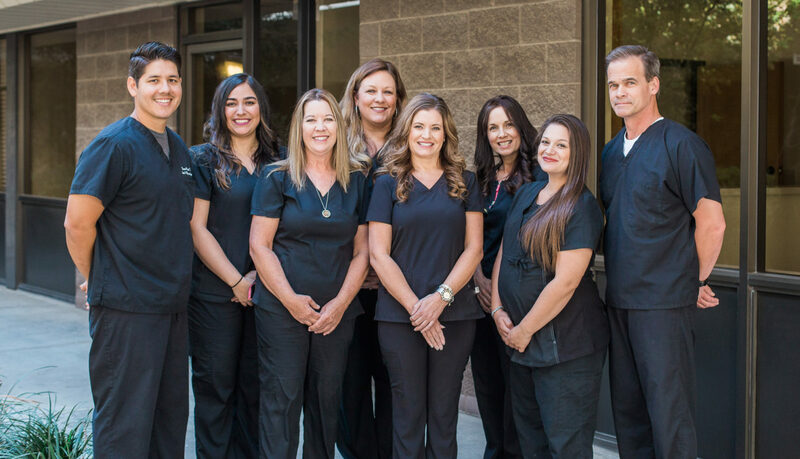 Our surgeons are on staff at Community Regional Medical Center, Clovis Community Hospital, and St. Agnes Hospital which enables them to provide a higher level of care for their patients and the community.